Today is the first birthday of womenwhocycle.com. 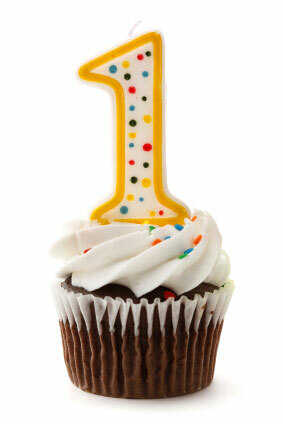 It’s exactly one year today since I launched the blog. So this week’s blog post is entirely self-indulgent, laced with nostalgia and reflection. Not that blogging itself isn’t a self-indulgent pastime. But I guess I try most of the time to impart something useful for women cyclists. I started the blog last year on a whim because I really wanted to share what I’ve learnt about cycling with other women. At the time I had about half a dozen blog post ideas and didn’t really know if I’d be able to sustain it. I’ve surprised myself because I’ve rarely had to think for long to come up with my weekly blog topic and there’s plenty more to come. During the course of the past year the blog has taken on a life of its own and reached every corner of the globe. I’m a slave to my analytics app on my Ipad. I get a real buzz out of checking my daily stats and seeing where my readers are from and what they are searching for. When I first hit ‘publish’ in WordPress on 13 August 2011 I was really shy about telling people about my new venture but I soon learned to be proud and forthright. My forthright attitude helped me reach out to many, many people during the past year and I’ve met some terrific female cyclists (via email, on the phone and face-to-face), many people in the bike industry and thoroughly enjoyed myself. I feel like I’ve just scratched the surface (sorry about all the clichés) with so many opportunities to come. I’d like to thank everyone who’s supported me in the past year by subscribing to posts, spreading the word via social media, agreeing to be interviewed, meeting with me and many more. Special mention to my fabulous partner Phillip who’s been a great proof-reading, ideas man and has put up with my droning on about it. Also thanks to Kate Bates who has been very supportive and helpful. Womenwhocycle.com has only just begun. I’ve got some great ideas for developing it further so stay tuned for a new logo, new look site, monthly e-newsletter and so much more in 2012 and beyond. Happy birthday to ‘Women Who Cycle’ and congrats Nicole on a very successful first year!! I’m currently in training for (half of) the Around the Bay ride – my friend Emma & I are riding the Melbourne to Sorrento leg. ‘Training’ is probably a bit optimistic – I’m doing at least 2 spin classes a week plus a 30km road ride each week plus some pilates/yoga classes to try & stretch out the tight bits!! Would be interested in your feedback on this matter and also any recommendations for pedals (I want to get clips on one side with normal pedal on reverse) and bike shoes – obviously I don’t want to spend a fortune but I do want to improve the efficiency of my pedal stroke. Well done and keep it up Nicola! After teaching spin classes for several years, I started getting back onto the road again now my kids are older. It’s great to see a blog about women and cycling. Next ride is the Brisbane to Gold Coast 100k. Hi Nicola – well done for creating and continuing with your blog! To start with an idea, follow through to make it into something, and now look at what you’ve achieved!!! It’s really something to be proud of. Who would have thought in a year you could have done of all the things you have through this blog.